The Facebook news feed is popular for news, images, and videos. 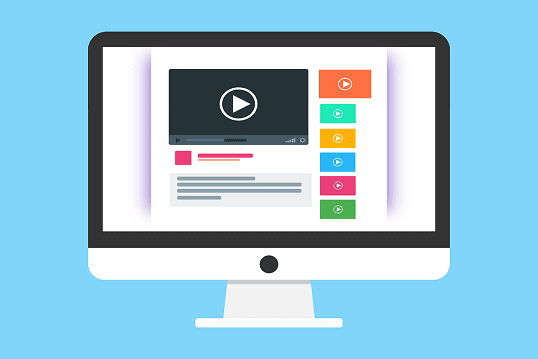 With no doubt, Facebook videos could entertain than other types of posts. Some of us may spend a lot of time watching Facebook videos. When you scroll down for more feeds, the Facebook videos will play automatically. This could annoy some users. Facebook autoplay videos will drain your mobile data. The most annoying part is the sound you hear when the autoplay video is Turned On. If you don't put a headphone, it would surely annoy others who are around you. If it's bedtime, it could be a nightmare for others. The autoplay feature is good for those who always use a headset. At the same time, if you rely on mobile data, Facebook video autoplay feature may not be useful. Whether you prefer the mobile app or desktop, you can stop Facebook videos from autoplaying. 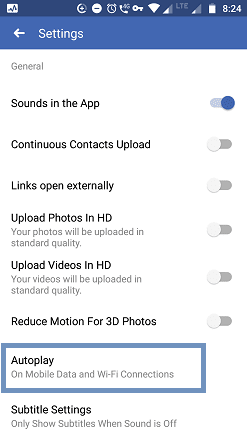 Here's the guide to turn on/off autoplay videos and sound on Facebook. 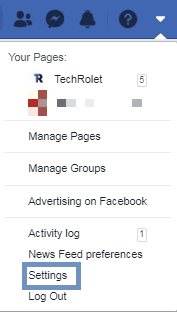 Log in to your Facebook account from PC. Click on the drop-down menu button on the status bar. On the left pane, look for Videos at the bottom. 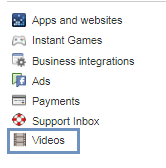 Here, on this page, you'll see the video settings. The second option is Auto-play Videos. Now, Auto-play videos on Facebook has been turned off. You could Turn on AutoPlay feature at any time. Tap on the hamburger icon (3 horizontal lines) at the top right side. 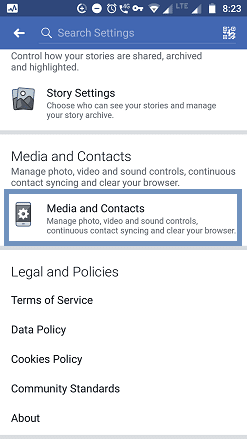 Scroll down and tap on Settings & Privacy. 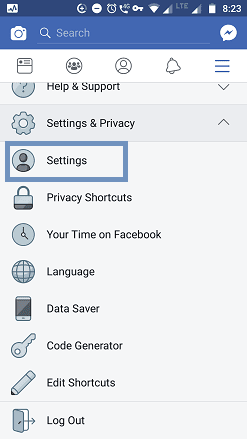 You will see more settings under "Settings & Privacy". Scroll down to the bottom and tap on Media and Contacts. Tick the Never Autoplay Videos. Note: If your mobile phone battery is low, Facebook will turn off autoplay feature automatically. If you'd like to keep the autoplay feature turned on, you could turn off the sound for the news feed. Begin by tapping the Settings > Media and Contacts. 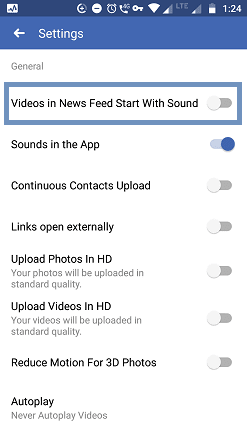 Toggle Off Videos in News Feed Start With Sound. Toggle Off Sounds in the App on the same screen as shown above. You're done with the settings. 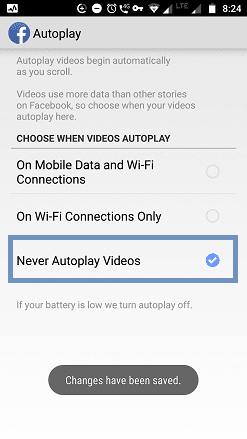 Turning off autoplay videos on Facebook is a good idea to save your mobile data. If you just don't want to annoy others nearby you, turn off only the news feed sound. I hope this helps. If this tutorial is helpful for you, put your little time sharing this article with your friends.